Cancer- I think almost everyone in the fire service knows of someone that has had it or is currently fighting it. Over the past few years cancer has been one of the most often discussed topics in the fire service. There has also been a tremendous amount of research dedicated to deciphering why we are more likely to get cancer. The facts- Before I talk about ways to combat it, I think it is very important to understand the facts about the numbers. There seems to be some very extreme statistics out in social media about the instances of cancer in the fire service. There are no hard, fast numbers when it comes to cancer and fire fighters. There have been numerous studies done each having different outcomes based on the study group. 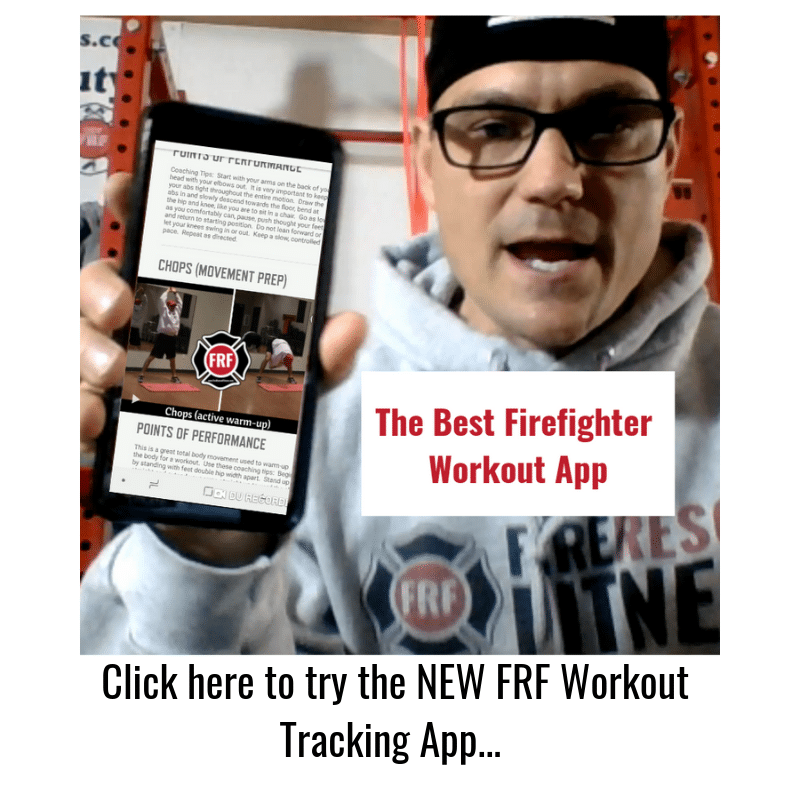 The one study most people reference is the NIOSH study of 2010 of approximately 30,000 fire fighters from Chicago, Philadelphia, and San Francisco . These are larger departments, but toxins are the same wherever you live. 9% higher risk of being diagnosed with cancer. 14% higher risk of dying from cancer than the general population. And, according to data from the International Association of Fire Fighters (IAFF), cancer caused 61 percent of deaths for career firefighters in the line of duty from Jan. 1, 2002 to Dec. 31, 2016. Cancer caused 70 percent of line-of-duty deaths for career firefighters in 2016, according to IAFF. The news isn’t very positive. But, as more is being discovered and more research is revealed, there are some easy ways to combat these number and significantly decrease your chances of getting cancer. 1. Clean and wear proper PPE on all calls. One of the glaring discoveries of the research is that wearing PPE including SCBA from the moment of entry until the completion of overhaul can greatly reduce exposure to carcinogens. And by wiping your skin upon exit from a fire and thoroughly and regularly cleaning your gear these exposures are decreased even more. Clean your neck, face, arms and groin thoroughly after each fire. These are areas with lots of blood vessels where particulates tend to collect. It was once considered a badge of honor for a firefighter to come home with a sooty face, but we know better now. Take care to remove this threat to your health as soon as possible. 2. Don’t use tobacco! Using any type of tobacco puts you on a collision course with cancer. Smoking has been linked to various types of cancer — including cancer of the lung, mouth, throat, larynx, pancreas, bladder, cervix and kidney. Chewing tobacco has been linked to cancer of the oral cavity and pancreas. Even if you don’t use tobacco, exposure to secondhand smoke might increase your risk of lung cancer. Avoiding tobacco — or deciding to stop using it — is one of the most important health decisions you can make! I know that there is a lot of tobacco use in firehouses, my suggestion, try to organize a contest to quit. Firefighters love money and challenges so pool together some monetary challenges to get your crew to stop tobacco. If you need help quitting tobacco, ask your doctor about stop-smoking products and other strategies for quitting. Here is a great resource to help you quit (click here). 3. Eat a healthy diet. Cancer is a systemic disease with various causes, some of which include a poor diet, toxin exposure, nutrient deficiencies and to some extent genetics. One extremely important way to prevent and/or treat cancer is nutritionally, through eating a nutrient-dense diet and avoiding things that are known to increase cancer risk. But for many people navigating the modern-day food system often seems overwhelming. Ingredients found in ultra-processed foods are being blamed for everything health-related, from cancer and diabetes, to reduced kidney function and bone loss. Only adding to the confusion, sometimes even the way we cook otherwise-healthy foods puts them in the cancer-causing foods category. Unfortunately, until food manufacturers are forced to clean up the ingredients they use in their products, it’s up to us to avoid the worst kinds and to choose cancer-fighting foods. Researchers have known about the dangers associated with some unhealthy habits and cancer-causing foods for decades, while others are just now emerging as possible culprits. Avoid obesity (see below). Mind and understand portion control. And, eat slowly. Your brain needs about 20 minutes to get the “signal” that you are not hungry anymore and that you can stop eating. Click here for a great resource on portion control for the firehouse (or any house). Eat a Mediterranean diet supplemented with extra-virgin olive oil and mixed nuts. The Mediterranean diet focuses on mostly on plant-based foods, such as fruits and vegetables, whole grains, legumes and nuts. People who follow the Mediterranean diet choose healthy fats, like olive oil, over butter and fish instead of red meat. Drinking plenty of water and other liquids may reduce the risk of cancer cancer by diluting the concentration of cancer-causing agents and help them flush through the body faster. Drink at least 8 cups of liquid a day, suggests the American Cancer Society. 4. Maintain a healthy weight and workout regularly. If you want to prevent disease, exercise! Cancer is just one of a very long list of health problems that can arise as a result of chronic inactivity. Adults who participate in any amount of physical activity gain some health benefits. But for substantial health benefits, strive to get at least 150 minutes a week of moderate aerobic activity or 75 minutes a week of vigorous aerobic physical activity. Also, avoid sitting as much as possible. If you can, limit your sitting to three hours a day or less, as the mere act of standing triggers beneficial changes in your biology. For the fire rescue athlete, I recommend you do a combination of both! A study in JAMA Internal Medicine found that people who did 1.25 hours of vigorous or 2.5 hours of moderate activity a week had a 31 percent lower risk of dying of cancer than those who didn’t work out. Exercise also helps you shed excess fat and maintain a healthy weight (this is particularly true for high-intensity interval training). Excess weight is a significant risk factor, and obesity. Physical activity also improves circulation, driving more oxygen into your tissues, and circulating immune cells in your blood. By improving blood flow to your liver, it also helps your body detoxify potentially harmful substances, including excess estrogen that may spur estrogen-sensitive cancers.Your metabolic and cardiovascular health is also largely dependent on exercise. In fact, one of the primary benefits of exercise is that it improves your insulin and leptin sensitivity and boosts your mitochondrial health, both of which play decisive roles in cancer and other chronic diseases. 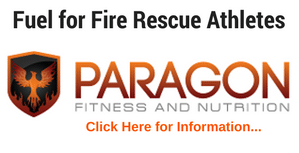 Thousands of firefighters, EMTs and medics use this program to stay strong, lean and fit for duty. Click here for more information on this workout program (includes eating guidelines, recipes and more). 5. Get regular cancer screening tests and your annual physical. It does not matter if you are a volunteer or a career firefighter, we are all exposed to the same stresses and carcinogens. Annual physicals are the best way to detect potentially life-threatening medical conditions. There is no guarantee that every medical issue will be identified. What the research is telling us is that early detection can save lives! The best way to diminish the effects of any diseases, illnesses or injuries is to detect them as early as possible. This is especially true for firefighters who, in many cases, are at greater risk for certain diseases, illnesses, and injuries than the general population. 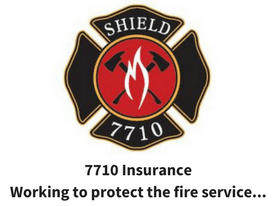 The best way to find these diseases, illnesses and injuries early is for healthcare providers to have an increased awareness and for firefighters to have annual physicals that can catch abnormalities early. Here are some great resources to provide to your physician to help them understand the risks and tests firefighters require. Please print these out and take to your next physical. 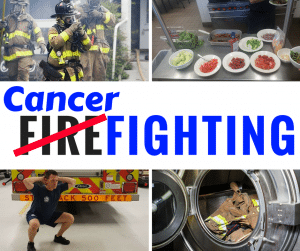 Firefighter Cancer Support Network Physician Guide to Cancer Screenings for Fire Service- click here. A firefighter’s blood work alone can provide a ton of insight into his risk for heart attack, stroke and cancer. Research shows that almost all of firefighters who suffer fatal cardiac events on duty possess one or more of the risk factors for heart disease – and two of these are identified in a typical blood panel: cholesterol and blood glucose. Markers of inflammation and cancerous growths can also be identified in the blood. And, most importantly, with annual physicals, you will be able to live longer, more fruitful lives with your family and friends. Cancer can strike anyone, even the healthiest of us, but as science advances toward a cure, it also offers compelling evidence on how much control we actually have in cancer prevention. We as a fire service must take care of each other and promote proper PPE and gear cleaning, challenge each other to reduce tobacco use, and make sure we get our annual check-ups. And, most importantly we must remember that our own cancer prevention starts in the the gym and in the kitchen. To be honest, I read all the main points, but, I’m planning to read the rest later. Great artical though for sure. That’s why I want to improve my cardio health. This great information. I am a cancer survivor. I had a liposarcoma in my right thigh. I was active duty Air Force and a Firefighter at the time. My experience follows your research closely. A couple of things I found in my research also showed the stress increases our chances. Antioxidants help to cleanse our systems. Cancer flourishes in acidic bodies but water helps to neutralize the body. My guess is the alkaline water bottles may help to neutralize it as well. My cancer was in 2005-2006. I had local radiation which shrank the tumor significantly. The surgery in March 2006 was very successful. I was able to stay active military until I retired in December 2007. I have been continuing my career as a contractor overseas. I am very conscious of the food I put in my body. My wife is a vegan, a great influence for me. My diet is more vegetable and fruit than anything. I rarely eat meat but if I do it is fish. The Mediterranean diet make a lot of sense to me. I’m also conscious of the medicine/chemicals I add to my body. I’m a 51 year old fire chief in Iraq. I am very interested in your workout program and any and all literature you put out. I’m building a fire dept and will have 33 firefighters to lead. Anything that keeps us healthy and strong, I’m all for. Great work here. Keep it up. Awesome stuff Chief! Please let me know how I can help you build your department. Feel free to contact me.